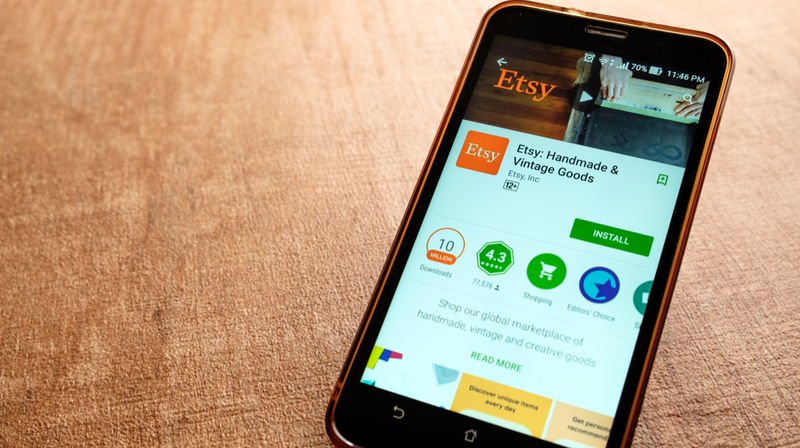 Etsy  (NASDAQ: ETSY) has been one of the most popular online platforms for handmade and vintage sellers for more than a decade. With nearly 2 million business owners and hobbyists selling their wares, the company is constantly evolving and releasing new tools to support the ecommerce community. Small Business Trends recently spoke with Kruti Patel Goyal, who is the General Manager of Seller Services for Etsy about what sellers can do to grow their businesses on the platform  and some of the new features that can help them do just that. If you’re just getting started on Etsy, the first step that Patel Goyal recommends is doing some reading. Etsy has always offered guides like its Seller Handbook to help business owners make the most of the platform. And those materials are updated constantly so you’ll always have the most recent information. As with any type of ecommerce business, a special sale or discount code can help you incentivize new purchases. And Etsy offers a feature that lets you choose which type of promotion to offer so you can schedule it for your shop. From there, you can set your shop to automatically send out updates about promotions to your social media channels. This lets you save time while still getting the word out about your special offers. Photography is an essential part of any successful Etsy shop. The site’s seller guides and handbook offer some basic tips for brushing up on your photography skills. But you also have to come up with a specific and recognizable style that works for your specific product line. You might consider adding some props that show scale and fit with your branding. Or you could come up with a unique background that makes your images stand out without distracting from the actual product. SEO is also a big part of growing an Etsy shop, since most shoppers use the search or browse functions on the site to find product options. The exact SEO guidelines might change periodically. But you can’t go wrong by sticking to the basic concepts  of mentioning the most relevant keywords as early and as often as possible within your titles, description, tags, and images. To continue learning and growing along with the Etsy community, Patel Goyal also recommends connecting with other sellers. The platform’s Teams feature gives you an easy and fun way to do just that. For a quick sales boost, Etsy also offers paid advertising options where you can boost the visibility of a particular product or products. This can be a worthwhile exercise at least to see what type of sales increase it leads to and use it to supplement your other marketing efforts as you grow your shop. Outside of Etsy, there are also some worthwhile marketing and advertising tools you can make use of. For instance, you can set your products to show up in Google Shopping searches. Then you can pay for Google ads to boost the visibility of those products when people enter relevant search terms into Google. Etsy sellers can also boost sales by expanding where they sell products. If you sell items at craft fairs or retail shops, you can even use a Square card reader to easily connect those in-person purchases to your shop. Once you’ve grown your shop on Etsy, you might also consider adding your own website so you can personalize and control more of the shopping experience. In fact, Etsy also offers a tool for helping shop owners in this area.